We have Pacific and Concords available for picking, as well as our early variety Weymouth. This means that the front field is open for picking as well as our back field. 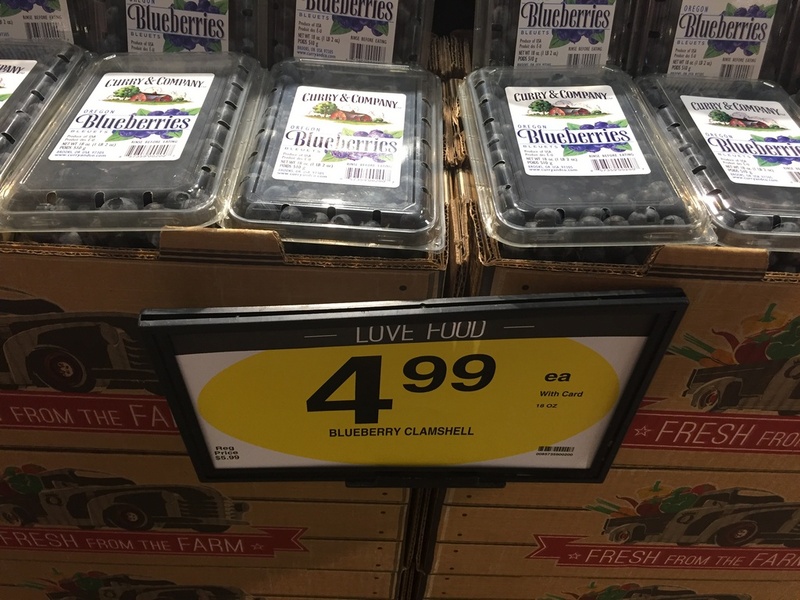 I saw these blueberries on sale at both QFC and Safeway: $4.99 and $6.99 for 18 oz. 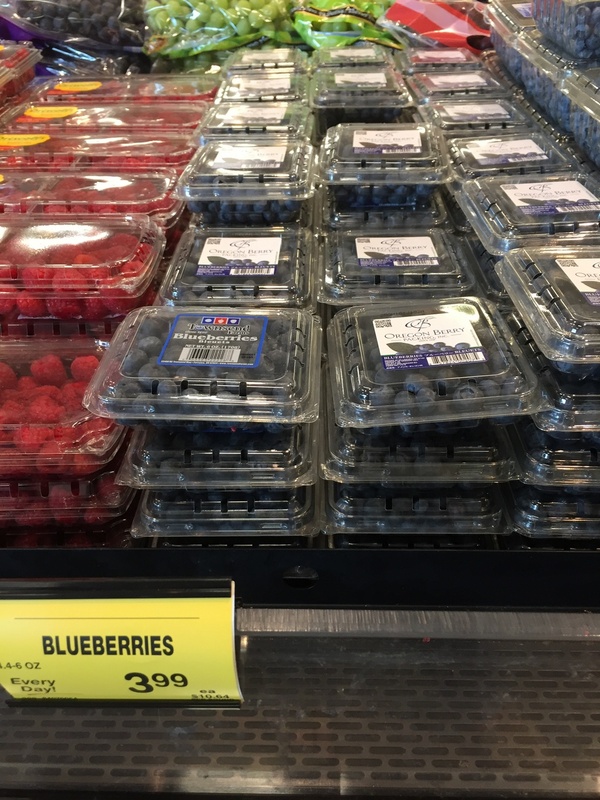 It makes our we-pick berries seem like a good deal: 1 pound or 16 oz for $4.50. 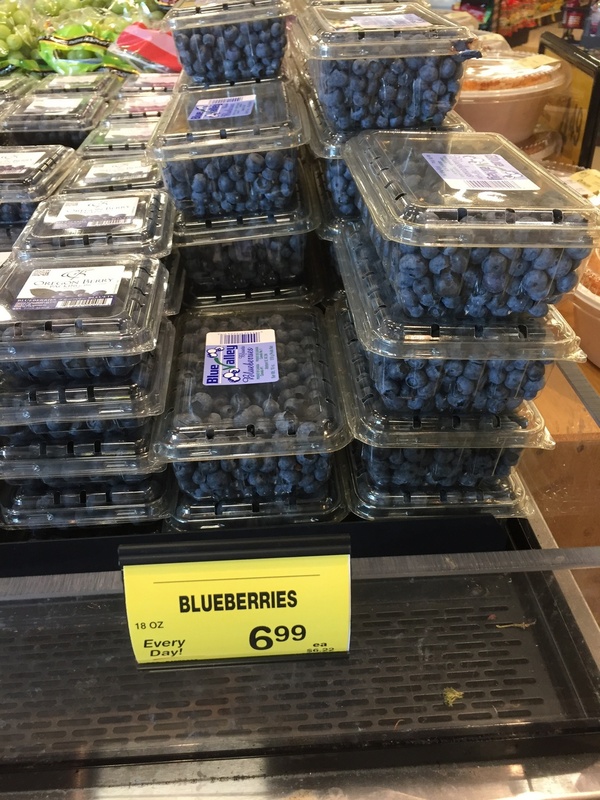 A 5-pound box is $22.50, enough for making jam, pies, muffins, and fresh eating.